Backpackers and/or fans, this guide will match your expectations !! 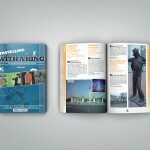 Travelling With A King is the first ever Michael Jackson travel guide. 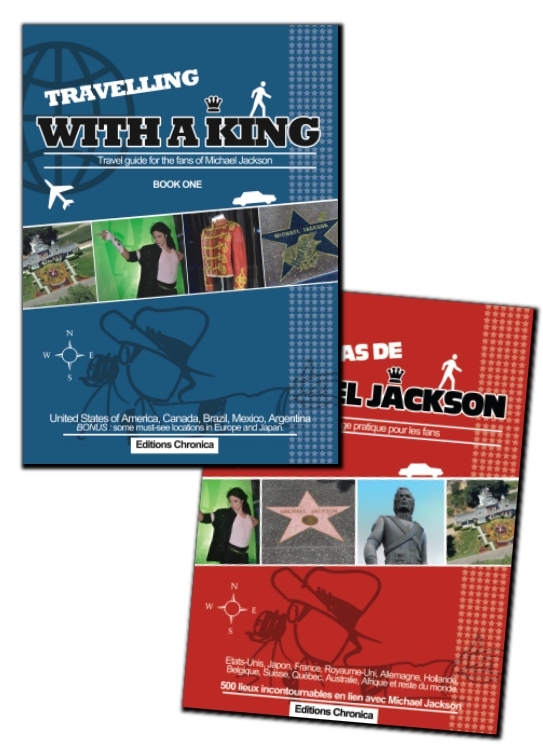 This 120 glossy paper pages and fully colored book will take you on Michael Jackson footsteps. From studios to houses, venues and statues, you’ll find everything you need to know. Released on March of 2014, the French version was a great success. 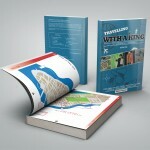 The English version will contain two books, divided by continents. Book one contains North, Central & South America and, as bonuses, a few selected places of Europe and Asia… Its A5 format and light weight will make it easy to bring the guide with you every time you travel. Christophe and Antoine are two dedicated and loyal Michael Jackson fans. Christophe is Belgian and has been a fan since 1992. A year later he created a Belgian fan club named ‘MJBackstage’. 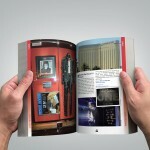 The fan club is still running and as a result of its success, a magazine is being printed 4 times a year. It is the last and only Michael Jackson Magazine in French. Christophe also loves to travel. In 2007, he was invited by Jackie Jackson to visit Hayvenhurst in California, an all-time dream. Chris lives in Bruxelles, Belgium and works as a journalist. His writing partner, French fan Antoine, has been a fan since 1990. This backpacker fell in love with the King of Pop’s moves and music at a very young age. He started working for ‘MJBackstage’ in 2010, for which he writes a geography review. This is how the Michael Jackson guide project started. Antoine lives in Amiens, France and works as a project engineer in Paris. Inscrivez-vous gratuitement à notre newsletter et soyez tenus informés de toute l'actualité liée à notre guide de voyage.